Cordyceps and Hashimoto's Disease - Dr. Nikolas Hedberg, D.C.
Regulation of the immune system by exerting anti-tumor effects, modulating the immune system in organ transplantation and the prevention of kidney, liver and heart disease. In recent years, studies have revealed that cordyceps has immune-mediating effects on autoimmune inflammatory diseases including lupus, chronic hepatitis, chronic kidney disease and diabetes. The active constituents in Cordyceps include: cordycepin, polysaccharide, cordycepic acid, nucleosides, ergosterol, aminophenol, and trace elements. A main characteristic of autoimmune thyroid disease is an elevated level of auto-antibodies and hyperactive T and B lymphocytes that are reactive to thyroid auto-antibodies. The researchers in this study identified a unique opportunity to investigate the effect of cordyceps on autoimmune thyroid disease because despite the administration of anti-thyroid drugs and thyroid hormone replacement to control symptoms of autoimmune thyroid disease, a means to actually target thyroid autoimmunity has been lacking in scientific research. The study authors pointed out that if the immunoinflammatory process in autoimmune thyroid disease cannot be intervened, what will consequently occur is that the disease will just end up progressing and become full-blown in afflicted individuals. Likewise, those who had success managing their autoimmune thyroid disease at earlier stages could inevitably experience a higher recurrence rate if the immunoinflammatory process is not curtailed. In 2013, there was one study conducted in China that demonstrated that cordyceps could significantly reduce blood levels of thyroid antibodies in both Graves’ disease and Hashimoto’s thyroiditis and that it could play a helpful role in cell-mediated immunity in animal models in many diseases. 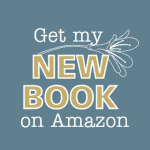 The authors of the current study then wanted to build upon existing research by seeking to investigate the effect of cordyceps on the hyperactive lymphocytes seen in autoimmune thyroid disease since after all, it is not only antibodies that play a role in autoimmunity. Lymphocyte dysregulation also is a factor in autoimmune diseases. Yanaba et al., Norman and Hickey and dozens of other research teams have confirmed this fact. How Was the Study Done on Cordyceps and Hashimoto’s Disease? A random selection of subjects with “newly definitely diagnosed” Graves’ disease and Hashimoto’s thyroiditis were recruited. Forty-four patients with Graves’ disease and fifty-six patients with Hashimoto’s thyroiditis were recruited. Twenty-eight Graves’ disease patients were placed into a treatment group and 16 were assigned to the control group. Thirty-nine Hashimoto’s thyroiditis patients were placed into a treatment group and 17 were assigned to the control group. 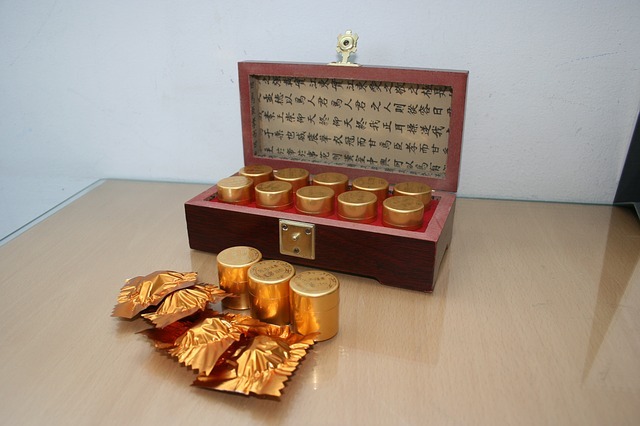 Control patients were administered methimazole or levothyroxine while the treatment groups were given the medication and cordyceps in the form of a Corbrin capsule consisting of 2.0 grams of cordyceps in a fermented powder form taken three times a day. 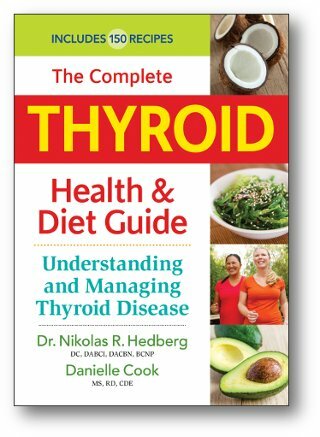 What Thyroid Markers Were Measured? Blood draws were taken at the start of the treatment and after 24 weeks. What Were the Hashimoto’s Disease and Cordyceps Study Results? There was no difference in free T3, free T4 and TSH levels between the Graves’ disease treatment and control groups. The thyroid antibodies declined by 40.06% (TPO antibody) and 46.94% (TR antibody) in the Graves’ disease treatment group which indicates an improvement in the thyroid autoimmune condition (less autoimmunity). There was no difference in free T4 or TSH between treatment and control groups but there was a slight improvement in free T3 levels in the Hashimoto’s thyroiditis treatment group compared to controls. 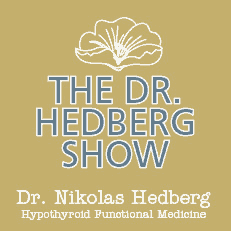 What was notable was that the thyroid antibody levels declined by 51.3% (TPO antibody) and 39.49% (TG antibody) in the Hashimoto’s thyroiditis-treated group compared to Hashimoto’s thyroiditis controls which signifies less autoimmunity or an improvement in the thyroid autoimmune condition. A significant drop of thyroid antibodies (specifically, thyroid peroxidase or TPO antibody) was observed in both Graves’ disease and Hashimoto’s thyroiditis patients. In this clinical trial, the Graves’ disease patients prior to cordyceps treatments had a higher ratio in the form of T-helper cells (CD4+) compared to cytotoxic T-cells (CD8+). Existing research has demonstrated that the primary defect of immunoregulation in Graves’ disease consists of an increase of T-helper lymphocytes with a simultaneous decrease in the number of T-cytotoxic/suppressor cells. Following cordyceps treatment in the Graves’ disease group, there was a drop of the helper-T cells to cytotoxic T-cell ratio to more of a normal range! Before treatment, the Hashimoto’s thyroiditis patients had the inverse seen in their lymphocyte subsets where there were more cytotoxic T-cells (CD8+) than helper T-cells (CD4+) which would mean a lower ratio of helper T-cells to cytotoxic T-cells. Another study that examined Hashimoto’s thyroiditis patients corroborated the reduction in ratios of CD4+/CD8+ lymphocyte subsets. Following cordyceps treatment in the Hashimoto’s thyroiditis group, there was an elevation of the helper-T cell (CD4+) to cytotoxic T-cell (CD8+) ratio! What Does All of This Mean for Hashimoto’s disease and Cordyceps? This is truly a remarkable phenomenon! What this means is that seeing less inflammation that is characteristic of a certain disease is highly favorable. In Graves’ disease, the ratio of helper-T: cytotoxic T-cells tends to be high but with cordyceps treatment, that ratio was lowered and resembled more normal readings. In Hashimoto’s thyroiditis, the ratio of helper-T cells: cytotoxic T-cells tends to be lower without intervention, indicating imbalance and yet with the cordyceps treatment, we saw the ratio become higher which is a sign of the supplement modulating the lymphocyte activity and inflammatory condition to a more balanced state. Looking at the body of research that exists on the subject, the exact and intricate mechanisms by which autoimmune thyroid diseases occur are not fully known, but there is strong evidence that the immune-mediated mechanisms of disease that include lymphocyte hyperactivation and infiltration are critical processes in the onset of Graves’ disease and Hashimoto’s thyroiditis. The authors state that in both Graves’ and Hashimoto’s, “there is a broken balance between the lymphocyte subsets (T-cells)” but based on the study’s results, cordyceps appears to exert a therapeutic effect by restoring more balance! Combined with conventional therapy, the researchers demonstrated that cordyceps had a beneficial effect on the autoimmune condition by suppressing the lymphocyte activity in both Graves’ disease patients and Hashimoto’s thyroiditis patients. While the ratios of lymphocyte subsets (CD4+/CD8+) were reversed in Graves’ disease and Hashimoto’s thyroiditis patients before treatment began, both of the treatment groups experienced improvement in the autoimmune condition as seen in lowered levels of thyroid antibodies and also an altered lymphocyte subset ratio with the supplementation of cordyceps meaning that this supplement could “correct the cellular immune disorder” and actually suppress the autoimmune status, restoring more “…balance to the median value of normal ranges” in both groups of treated patients. What Were the Weaknesses of the Study? The researchers had a relatively small sample size in both the Graves’ disease treated (twenty-eight subjects) and control groups (sixteen subjects) as well as the Hashimoto’s thyroiditis treated (thirty-nine subjects) and control (seventeen subjects) groups. The study was conducted over a 6-month period (24 weeks) which was a reasonable period in which to carry out a clinical trial. However, we have to wonder what the long-term effects of taking cordyceps would be on antibody levels and the lymphocyte ratios seen in Graves’ disease and Hashimoto’s thyroiditis patients. Would the movement towards greater balance in the autoimmune status be maintained beyond a year for those suffering from Graves’ and Hashimoto’s? What other reasons could cordyceps have helped Hashimoto’s disease? Cordyceps is rich in selenium and we know that selenium supplementation has been shown to improve thyroid antibody levels. Cordyceps is also very effective against the Epstein-Barr virus and the Herpes 6 virus which we know are both connected to Hashimoto’s disease. Both of these mechanisms could also explain the improvements seen in this study. These researchers were able to demonstrate that over a 6-month period, cordyceps did significantly reduce auto-antibody levels and also favorably impacted the activity of lymphocytes in both Graves’ disease and Hashimoto’s thyroiditis patients. In this regard, the authors made a critical finding. 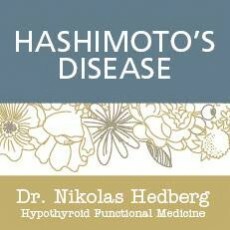 It is immune disturbance that has long been suspected as the “culprit of the recurrence for Graves’ disease” and it is also implicated as a chronic condition in Hashimoto’s thyroiditis. At least in the short-term, cordyceps has been shown in this study to hold promise in modulating the immune system in autoimmune thyroid diseases. I have been getting great results with Cordyceps Select by Moss Nutrition but please only supplement with cordyceps under doctor supervision.